I recently had the chance to screen the first two episodes of YouTube Premium’s new series, Origin, premiering on November 14, 2018. With producers from Lost and The Crown and some recognizable actors, I figured that the show at least had some credibility behind it. The premise? “A group of strangers find themselves stranded on a spacecraft bound for a distant planet. The abandoned passengers must work together for survival, but quickly realize that one of them is far from who they claim to be.” Not exactly a new idea, but I thought it might be enough to keep my attention for a bit despite seeming a bit derivative. In reality, it far exceeded those expectations. Origin kept me glued to my screen in a way that rarely happens to me with new shows. Granted, it was only two episodes, but I was left wanting more so strongly that I may have to get a YouTube Premium account just to find out what happens. Despite the simple plot, there is plenty to occupy the eyes and the mind during this show. As mentioned above, a group of strangers wakes up from suspended sleep early—instead of being on their new home planet, where they are set to get new starts on their lives, they are actually in deep space and seemingly alone; the crew and other passengers have apparently abandoned ship. It isn’t until episode 2 that we even get much of an idea as to why the ship was abandoned, but even then, there are more questions than answers. The creative thing about this show is the storytelling. Origin is not only the ship’s name but serves as a tool in getting the audience to know our characters. 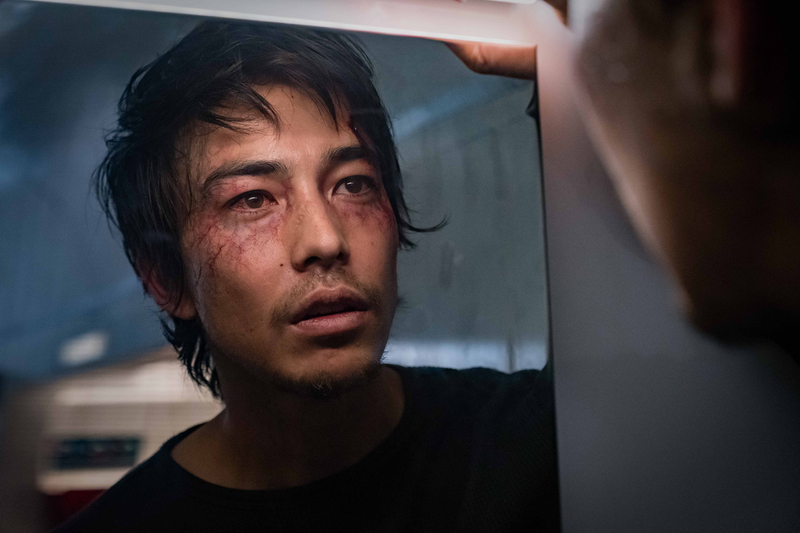 The first two episodes, directed by Paul W. S. Anderson, heavily focus on Shun (newcomer Sen Mitsuji), who comes from Japan to start fresh after leaving his less than conventional means of getting by. I have no doubt that, much like in Orange Is the New Black, the audience will learn about each character’s origins through flashbacks like these. The last line of the show’s synopsis obviously suggests sinister things will be revealed about someone’s true identity. Shun’s story alone leads me to believe that none of these passengers are on this ship by chance—everyone has their story to tell, none of them glamorous. I’m guessing not just one but all these characters have dark secrets, all of which will come to light and create drama and chaos for all involved. Though no hints were given in the first two episodes, I hope there is a connection between some of the characters in that they perhaps know one another or are otherwise linked by a mutual friend. As to who this character may be that is not what he or she presents themselves to be? I have my suspicions, but in science fiction and suspense stories such as this, the most obvious answer isn’t always the actual one. Time will tell. Overall, I think this is a going to be a great show, but unfortunately, I feel many will miss out on it due to the streaming service that owns it. If you don’t have a YouTube Premium account, this show seems like it would be worth the trial alone. Plus, it’s made for the geek audience: space travel (maybe aliens for all we know), suspense, science, and a cast that includes Natalia Tena (known for portraying Tonks in the Harry Potter films and Osha in Game of Thrones) and Tom Felton (fellow Harry Potter alum, not to mention his recent portrayal as Julian Albert in fan-favorite The Flash). Origin could be quite the winner! I just hope Felton’s character, Logan, quits swearing every chance he gets. It seems overdone.